Chris Crumpler is a man who wears many hats – basketball coach, father, husband, motivational speaker, entrepreneur, and the list goes on. 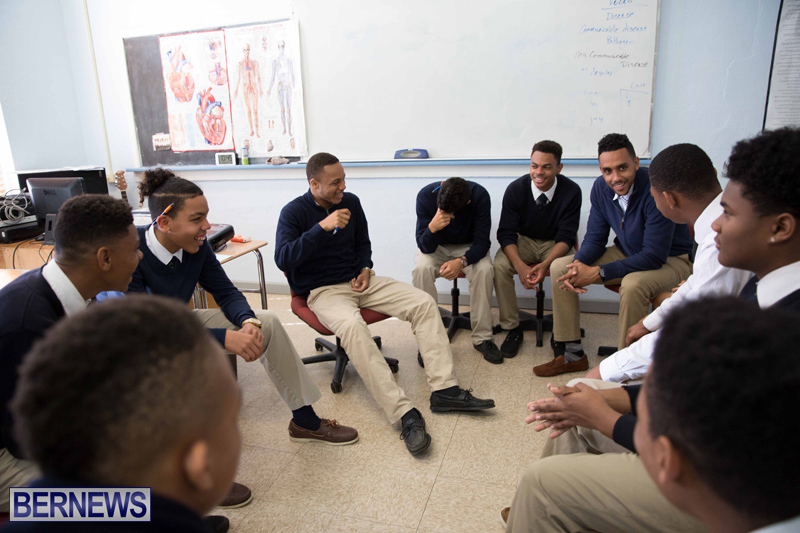 One of the roles he’s most proud of is as Executive Director of Impact Mentoring Academy, an all-boys school that aims to empower young men between the ages of 11 and 18 to tap into their full academic and individual potential. Mr Crumpler first came into contact with the school two years ago when invited to talk to the students about personal development. The boys were so inspired they asked him to come back more regularly. A short while later the school’s founder Trace White just happened to catch a portion of Mr Crumpler’s presentation – the rest, as they say, is history. “Trace invited me to have breakfast with him after that and we just started talking about the school and the overall vision and that led to another breakfast soon after,” he said. “Joining the school’s team was a great opportunity, but I wanted it to be crystal clear that I was investing in these young men for the right reasons. “I wasn’t in need of recognition or validation or anything extrinsic. For me I just knew I wanted to be involved in any way, shape or form in the positive difference that was happening in these young men’s lives. The new role has been transformational for Mr Crumpler, to say the least. In order to be a better example for the young men, he admits he has had to change the way he dresses, how he talks and carries himself. According to Mr Crumpler, the need for schools like IMA is “huge”. “School systems particularly in the Western world tend to be better suited for girls,” he said. “The reasons why people struggle with boys and they are in school detention more often, isn’t because they lack the intelligence or capability. Boys are incredibly skillful and talented, but sitting down for five hours a day isn’t conducive for them. The goal is to build up Impact Mentoring Academy so it’s recognized as the prominent flagship institution for Bermuda – then perhaps one day the scheme can be introduced to other parts of the world, Mr Crumpler said. “We have so many positive stories coming out of this school every month,” said the executive director. “The biggest change I’ve personally seen is in personal development and growth – not only with the boys, but in the family and parents’ lives as well. Over the last two years I’ve seen boys who had challenges with behavior management and focusing for long periods of time and they have overcome that. “I’ve seen students who were failing a core subject and now they are an honor roll student. I’ve seen young people who were afraid and have now become more brave and courageous. 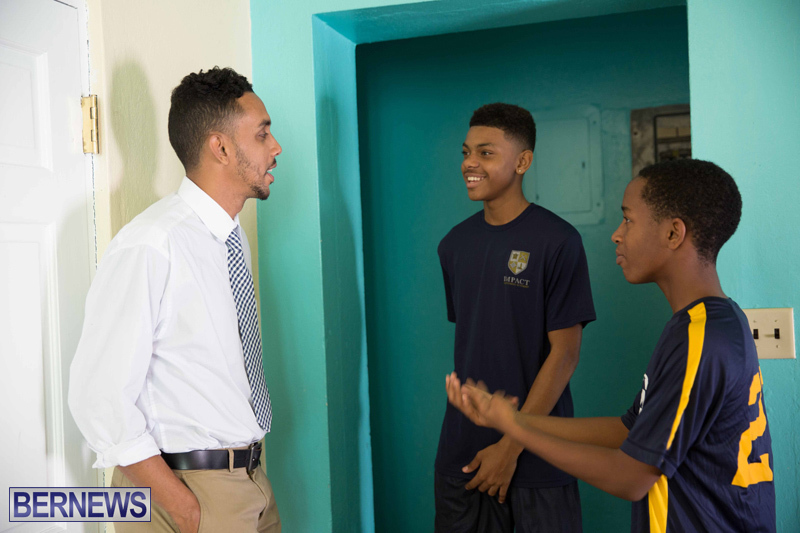 Mr Crumpler said staff at the school count it a blessing to create the island’s next leaders and usher these boys in their journey to becoming men. They are calling on the community’s help to meet a new fundraising goal to purchase science, athletics and trades equipment. Impact Mentoring Academy is working to enlist sponsors from now until May 13. Interested patrons can either make an annual contribution/ pledge of $100; or become an IMPACT Partner for an annual donation of between $500 and $1,000. For more information e-mail info@imabda.bm or call 747-4621. When will the Department of Education create a coupon programme so the young men attending this organisation can carry Government funding with them to such worthy programmes? Great School! I Wish I had the money to fund this school every year and some could go for free!